Here at Create Changes in Cardiff Bay we pride ourselves in being the top implant dentist in Wales. "A friend of mine told me about Pete when I needed implants, I traveled from Birmingham and had the best treatment I could imagine. I am a very nervous patient and he put me at ease immediately. I had sedation for my implants and they were brilliant. Pete is the best implant dentist- all my friends now know that!" Kathy is one of many happy patients. Why don't you join her and get a free implant consultation for a limited time only. 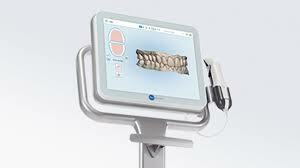 You can also take advantage of our state of the art digital scanner- no need for a mouthful of impression and it's 7x more accurate!